Avra Restaurant - Bar offers a wide variety of food and drink options for hotel guests and their friends. Explore artistry and flavors of mediterranean cuisine or enjoy your favourite cocktail in our bar. 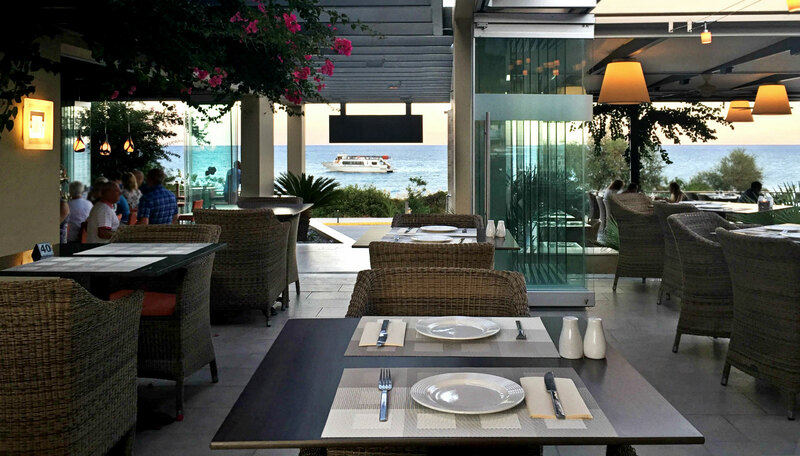 Avra Restaurant offers you a breathtaking view of the Ionian Sea.